Every Sunday at Spark, visit the Cool Bus (a mobile literary arts center) for a word challenge, a place to read, and free books! Explore word games, rhyming challenges, poetic forms, and maybe meet a visiting author. You can also check out the book selection and take a book home for free. The Cool Bus is a program of Word On The Street, a not-for-profit focused on engaging neighbors in reading, writing, and exploring in spaces that inspire imagination and wonder. Word On The Street created the Cottage Home Microlibrary as well as the Cool Bus. Central to the organization’s mission is giving away free books and increasing excitement around and access to literacy opportunities. 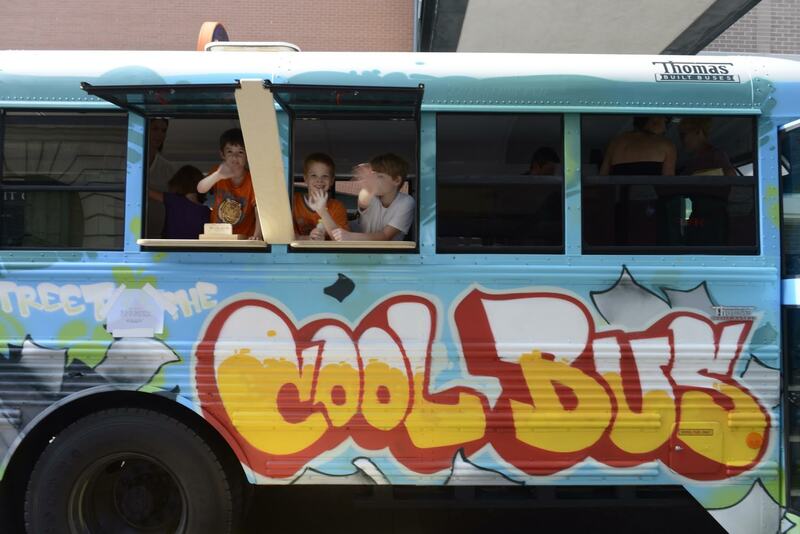 The Cool Bus was the “5×5: Make Your City” winner in 2013.